There is sad and tragic news to report in the search for missing Jessica Ridgeway. Police searching for missing 10 year old Jessica Ridgeway have found a body and removed it from Pattridge Park in Arvada, CO. Authorities have not yet made a positive ID; however, it is strongly suspected it is that of Jessica Ridgeway. 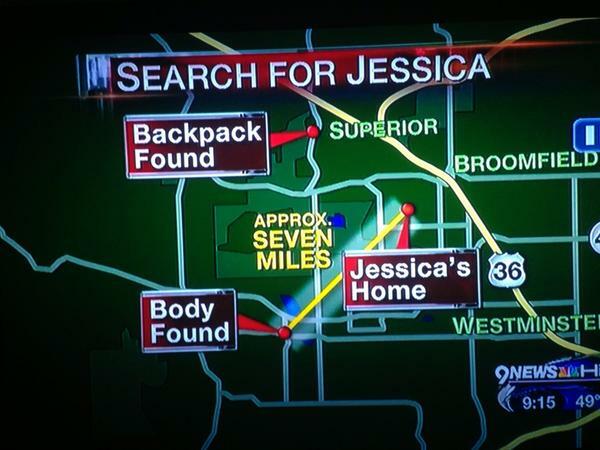 Local media is saying that the body discovered is that of missing Jessica Ridgeway. 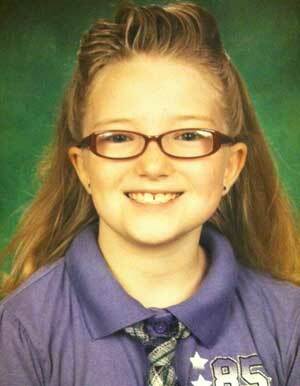 The 10 year old girl went missing last Friday as she walked to school. Westminster Police spokesperson Trevor Materasso did not release the gender or approximate age of the body, the station said. Police confirmed the discovery of the body to NBC News and said a statement would be issued at 6:30 a.m. local time (8:30 a.m. ET). UPDATE I: Authorities have not been able to make a positive ID on the body found in the Pattridge Park open space in Arvada, CO. At first thought, I had to think, why can’t they make a positive ID, she has been missing for less than a week. However, then came the grim and stomach sickening news, her body was found not intact. Oh dear God, my hear breaks. I can only hope that they can match DNA evidence to the predator who perpetrated this heinous act. The condition of the body is delaying identification. RIP, Little One. No one can hurt you anymore. As often times when these horrible stories are spread across our airwaves, one of the first things I think is- Please, Lord. I pray that this innocent child did not suffer so badly at the hands of her Perpetrator. And I pray that, in the moments before they passed- God came to them and surrounded them with love and light. Sometimes, it’s the only comforting thought to hold on to.